Home / #Health / #Woman / #Health : 75% of pregnant women don't have healthy weight gain ! #Health : 75% of pregnant women don't have healthy weight gain ! A comprehensive new study has found 75% of women are not gaining a healthy recommended weight when pregnant. Gaining too little or too much weight during pregnancy increased the risk of premature births or requiring caesareans, it said, and the prevalence of both obesity and excess gestational weight gain was increasing. 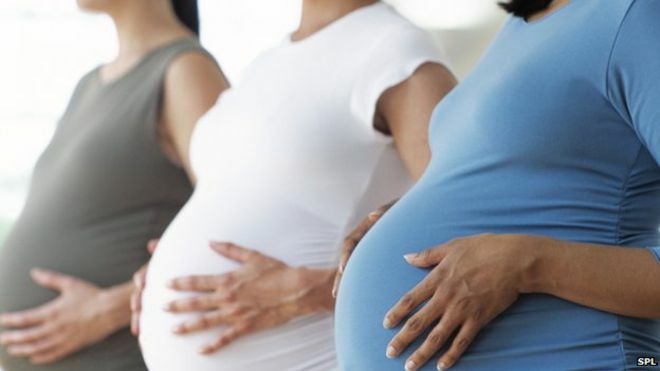 The international research team, led by Monash University researchers, examined more than 5,000 previous studies and analysed pregnancy data from three groups across Asia, the US, and Europe, but noted it was limited by a lack of studies from developing nations. It found that 23% of women did not gain the recommended weight during their pregnancy, and more than 50% gained too much. The higher weight gain was more prevalent in western countries. Other key findings included that 7% of women were underweight and 38% were overweight and obese at the time of pregnancy. Women who gained more than the recommended weight were a higher risk of having large babies and requiring a caesarean birth. Women who went into a pregnancy underweight and who didn’t put on recommended weight had an 8% risk of having an underweight baby, and an 8% risk of a premature birth. “Gestational weight gain greater than or less than guideline recommendations … was associated with higher risk of adverse maternal and infant outcomes,” it concluded. Research team leader Prof Helena Teede said the results emphasised an urgent need for monitoring and support strategies for women before and during pregnancy. Endorsed guidelines recommended pregnancy gains of 12.5kg to 18kg for underweight women, 11.5kg to 16kg for women of healthy weight, 7kg to 11kg for overweight women, and 5kg to 9kg for obese women. “Health professionals need to be encouraged and trained in having ‘healthy conversations’ introducing relatively simple effective lifestyle interventions to support women before, during and after pregnancy,” said Teede. The study aimed to update medical guidelines which are almost 30 years old, based on 1980 data of a mostly Caucasian population. A 2009 update was still based on a population of mothers with limited ethnic diversity and with a lower general weight. Teede said it represented the largest contemporary international snapshot of women’s weight during pregnancy and its impact on their health and that of their baby, and on the healthcare system. It also took into account “our more contemporary population of mothers who are increasingly entering pregnancy at an unhealthy weight and it covers the diversity of race across Europe, US and Asia”. A separate, landmark report released on Tuesday, by the Australian commission on safety and quality in healthcare, found the rate of caesareans in Australia was increasing, and varied depending on where a woman gave birth. The Queensland area of Bribie Island had the highest rate of 438 per 1,000 women aged 20-34, and Victoria’s Baw Baw the lowest, with 147. The Second Australian Atlas of Healthcare Variation sought to analyse the rates of hospitalisations, surgical procedures, and complications, across Australian local areas. The data is expected to assist local clinicians and policy developers in identifying and addressing localised medical issues and health disparities. 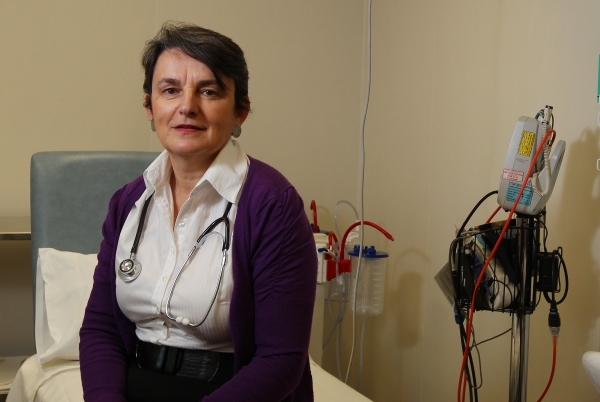 Chair of the Atlas advisory group, Prof Anne Duggan, told Guardian Australia there was a much higher rate of caesarean sections than in other OECD countries. The Atlas also found a seven-fold variation in the prevalence of hysterectomies, and a 21-fold variation in endometrial ablation. “We know treatments have changed over time,” said Duggan. Using heavy menstrual bleeding as an example, Duggan noted hysterectomies were no longer the only option available for women. “Women should know in a format they understand all the treatment options and be offered a conservative therapy, like the IUD, if they want it,” she said. The Atlas made more than 50 recommendations to improve Australia’s healthcare delivery, including addressing social determinants of health, increased support for individual clinicians, and a greater focus on preventative health to reduce hospitalisations.